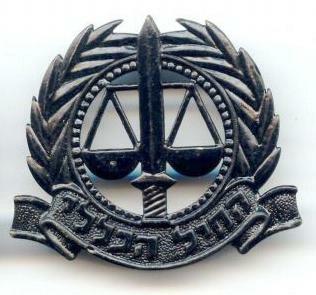 Cap badge of the IDF’s Military Advocate General’s department. As I write this post it isn’t clear if the current round of fighting between Hamas and Israel is winding down or not. What is clear is that the Islamist terror group is waging war as much by telling lies as by launching missiles and digging attack tunnels. Some of the lies are obvious (“Israel shot down the Malaysian airliner over the Ukraine to divert attention from its war on Gaza”! ); others are less so. One of the most significant and unrelenting lies, intended to brand Israel as an outlaw state, is that of accusing the Jewish state of “war crimes.” So common are the allegations of such crimes against Israel that many Jews are, in their ignorance of the facts, reduced almost to desperation, pleading, “We don’t care if they are crimes or not, we need to act this way for our own protection.” However, these particular lies are the ones with the least foundation, and the easiest to dismiss. The great American Civil War general William Sherman famously said, “War is hell,” but for centuries civilized nations have striven to make sure that it is not unmitigated hell. There is a difference between the Mongol Hordes of Genghis Khan destroying all before them and the armies of Britain and France in the Napoleonic wars. The former used violence on all and sundry; the latter tried to limit the fighting to the soldiers and leave the civilians alone. Efforts to limit the inescapable brutality of war became known as the “Laws of War” by soldiers and as “International Humanitarian Law” (IHL) by human rights advocates. It’s important to realize these laws were developed not only by starry-eyed philosophers, but by soldiers. They are not intended to make it impossible to fight, but rather to limit the damage done by waging war. Once you understand what the laws actually state, you will realize that Israel does not infringe them at all. The most basic principle of IHL is that there should always be a clear distinction between the military and civilians. The military have the right to fight and must be treated as a prisoner-of-war if captured. Civilians have no right to fight and cannot be targeted. The Hamas missiles that have been launched in their hundreds at civilian population centers are illegal, and every single one of them is an individual war crime. Each side in a war has a duty to keep the military physically separate from the civilians. It is not, however, just enemy combatants that can be legitimately targeted. Arms caches, supply routes and anything that supports the military can be destroyed. What of institutions and resources that are used by both the military and civilians? An example might be a railway line that is used to carry both civilian traffic and troop trains. In such instances the principle of proportionality comes into play. Those in the media and the world of politics who point to the disparate number of Israelis and Palestinian Arabs killed and shout “Disproportionate” are demonstrating either their ignorance or their mendacity. There is no rule that states that you are allowed to kill only as few or as many of the enemy as they have been able to kill of your people. The concept of “proportionality” has to do with the degree of military advantage you can gain from destroying a military target despite the fact that nearby civilians will inevitably die. A very bald statement leaps out of the dry, legalistic text of the Fourth Geneva Convention. Article 28 states, “The presence of a protected person may not be used to render certain points or areas immune from military operations.” When the residents of a building are warned by the IDF that it is about to be bombed, and Hamas calls on civilians to bring their children to stand on the roof of the building, the IAF is within its rights to bomb the building and kill all of the “innocent” civilians on the roof! The responsibility for their deaths would be on their own heads and the heads of the Hamas officials who encouraged them to put themselves in harm’s way. Whether the IDF, would actually carry out such an attack is another matter. It would be hard to get a clearer declaration of who is right and who is wrong in this matter from a more authoritative (if surprising) source!